Theories abound as to why David Ortiz continues to be Big Stinky this season: lingering wrist injury, PED withdrawal, swine flu, etc. "People don't know," Ortiz said. "Sometimes they think we just come here to play baseball and that's it. We're human beings like everyone else. We have things to worry about. "Sometimes that gets in the way. It's hard to have that free open mind you need to play this game. There's no way you can play this game with a busy mind. No way." Sounds like somebody has a case of the Greinkes. 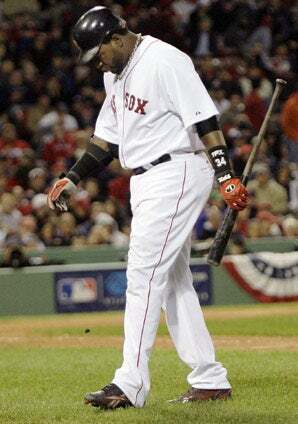 But Busy minds don't make productive players and, finally, the Red Sox realize that it's time to shutdown the Papi express for an extended period of time until he gets his head right. Also? They've got eyes for the Nationals' Nick Johnson, apparently.